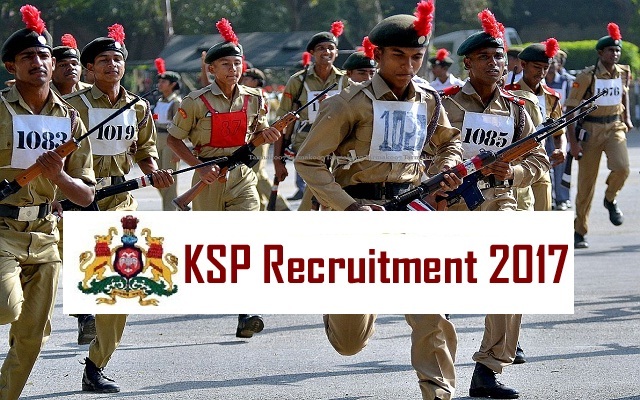 KSP Career Recruitment 2017-2018, 849 Special Reserve Police Constable Posts. The Interested and Eligible Candidates are requested to apply online through Official website www.ksp.gov.in. The last date for submission of Online applications is 08.12.2017. KSP pattern of examination, Syllabus, Question Paper, Admit Date Release Date, Exam Date, Result Date etc. KSP 849 Police Constable Recruitment 2017-2018 - Apply Online. Candidates who have completed 10th or equivalent from a recognized Institute are Eligible to apply KSP Recruitment 2017.